I first went to Riot Fest in 2013. I got my 3-day pass for super cheap (almost half of what I paid this year) and had the time of my life. So, when the lineup for 2015 Riot Fest came out… I obviously had to buy my tickets right away. 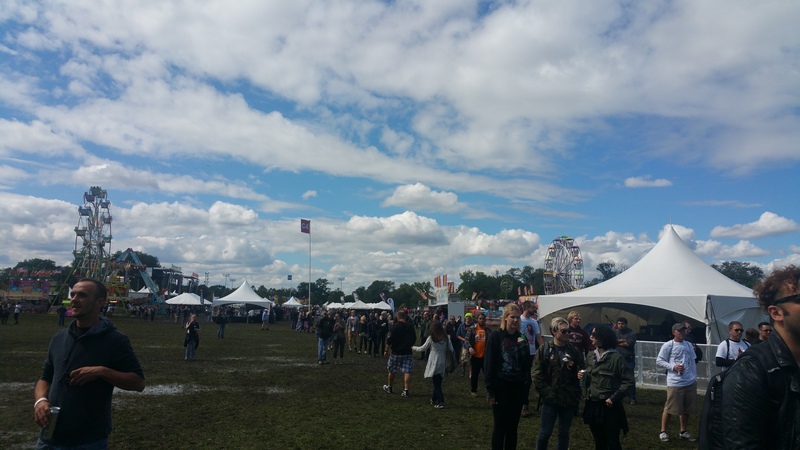 This year it took place in Douglas Park, instead of Humboldt Park like the last few years, and I was super impressed.. until we were a foot deep in mud. I would like to thank my waterproof Doc Marten rain boots for saving my life yesterday. So before you judge me music taste.. please note that this was an extremely nostalgic day for me. These are bands I loved in junior high throughout high school. We first saw Fidlar who put on a good show. They were equipped with an R. Kelly mannequin who stood on stage the whole performance. It was great. We then saw some other smaller bands who I honestly can’t remember (I’d like to thank Strongbow Apple Cider for that one). Then, we saw Mayday Parade which was a big deal to middle school me. They really did great and I can’t complain. They played their entire Almost Here album beginning to end. If you aren’t familiar with this album, you should be! After that amazing hour, we went to catch the last half of Billy Idol. I was way too excited (mostly for Rebel Yell) and had a great time seeing him. He was still bleached blond and shirtless. The last band we saw was Taking Back Sunday. I’ve always been kind of a fan of their music. I say “kind of a fan” because I don’t know very much of it. They did really well, though. We spent the last half hour in the Strongbow lounge drinking some apple cider and playing jenga. AND THEN THE REAL FUN STARTED: Getting home. 2 Ubers cancelled on us after 10 min each of waiting. 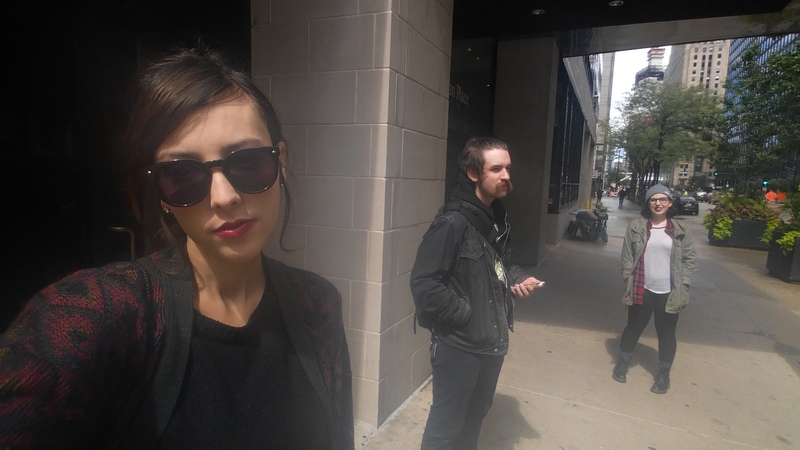 Cabs refused to take “Riot Fest people”. Buses were so packed you couldn’t get on. No one knew where the Pink Line was so I asked a POLICE OFFICER who laughed at me and said “haha honey take an uber” which infuriated me. We found the pink line, took it into a random stop in the loop. Tried to get an uber who COULDN’T FIGURE OUT WHERE WE WERE, so I cancelled him. Finally got a cab that took us to Union Station with minutes to spare. TURNS OUT THERE WAS NO 11:40 TRAIN THAT WE RUSHED FOR. We made the best of it but had to wait a whole hour for the next train. It was a stressful transportation situation. 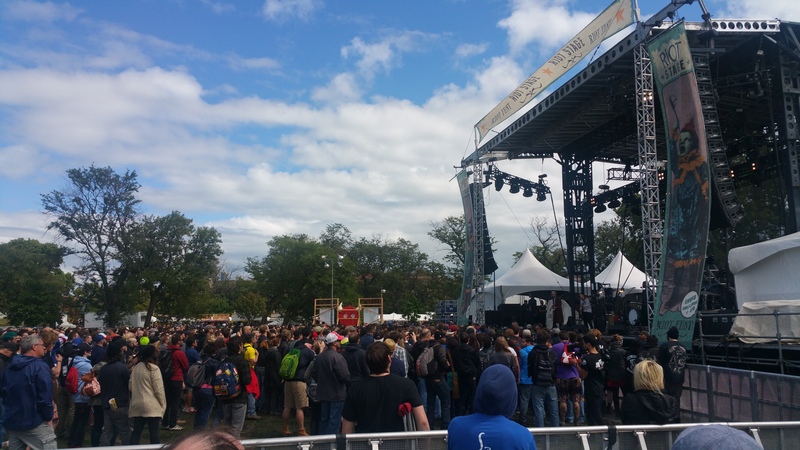 OVERALL Riot Fest 2015 was pretty amazing, unless you had to get home.